Here in Breckenridge, it’s no surprise we have countless activities to choose from. If you are looking for something a little more relaxing head to Ready- Paint-Fire and choose one of the many crafts they offer. You can choose from painting pottery, making mosaics, painting canvas, and glass fusing. 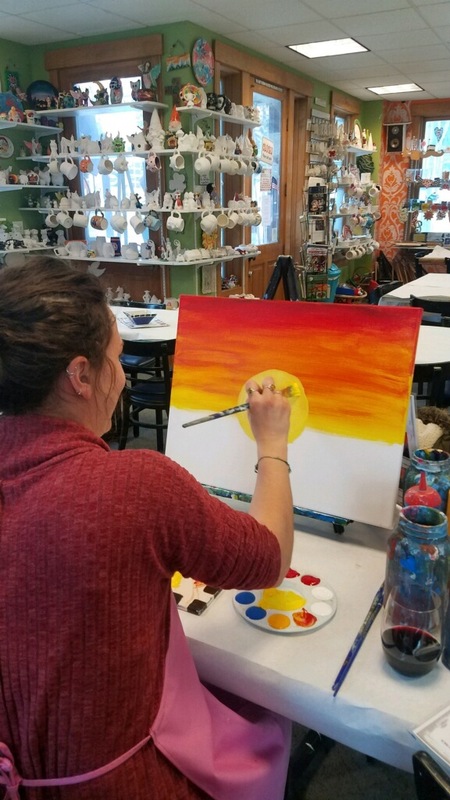 A fellow coworker, Nicole and I decided to test our artistic skills by attending one of Ready Paint Fire’s, Canvas Painting Parties. I would not consider myself artistic so I went in a little nervous as to how mine would turn out. From the moment we walked in the staff was incredibly friendly. They answered all our questions and encouraged us along the way! 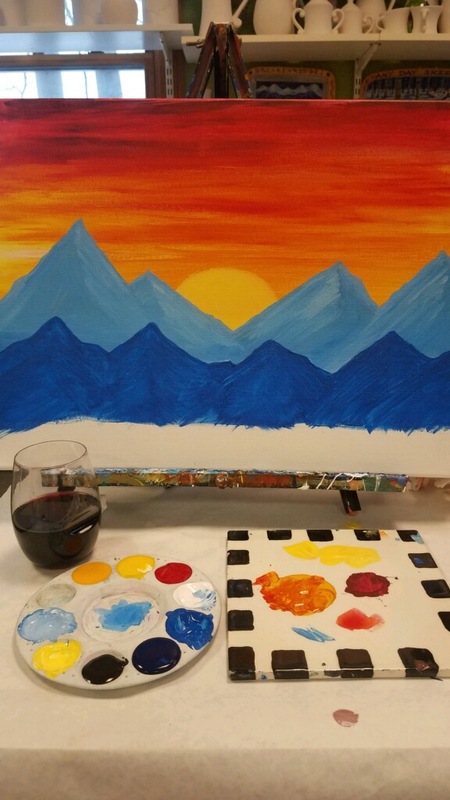 Ready Paint Fire serves soda, beer and wine to those 21+, so Nicole and I started with a bottle of red wine. We then chose from the many different tutorials, collected our paints and started in on our paintings. We painted our canvas’ and sipped on our wine for several hours as we worked, talked and laughed. 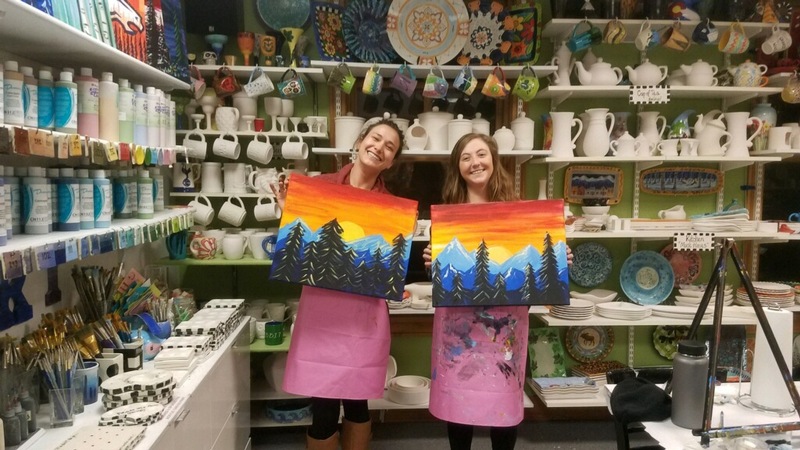 It’s clear that neither of us is the next Picasso, but we had a great time, and for two people who aren’t very artistic our paintings didn’t turn out bad! We both had such a great time and are excited for the next time we can go back to try one of the other crafts they offer. 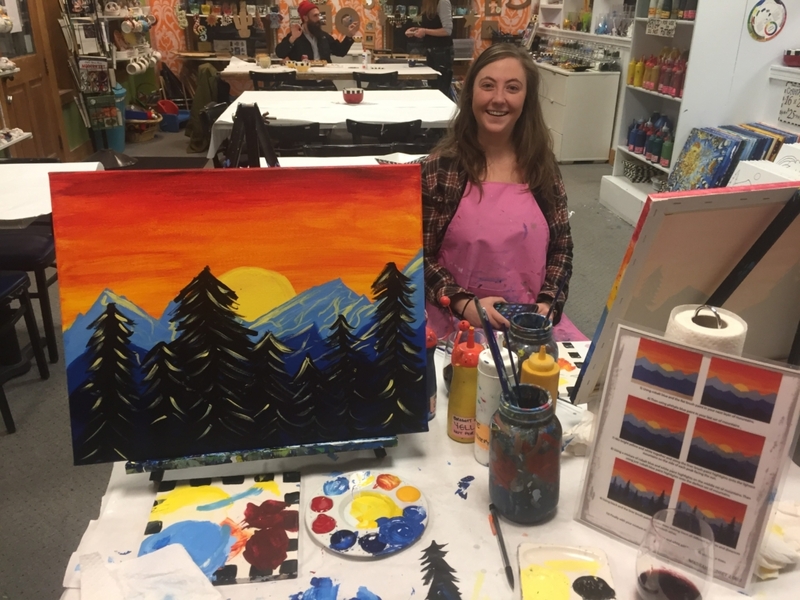 From a nice family-fun afternoon activity, a girls night out or date night with your significant other, Ready Paint Fire is a great off-mountain activity for all!